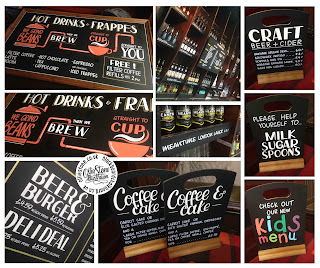 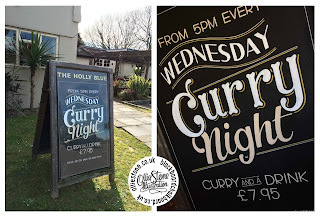 Hand-painted pub chalkboards and sign writing. My name is Ollie Stone. 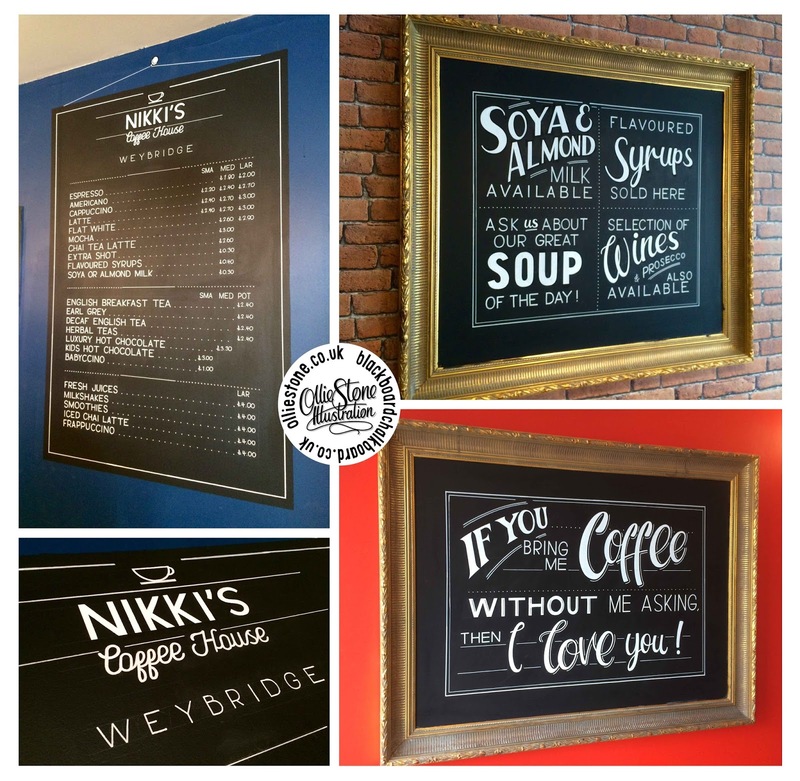 I live Brighton and work across Brighton, London and the South as a freelance chalkboard artist and mural painter. 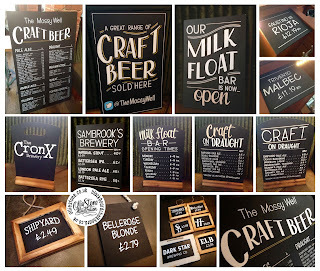 My previous clients include: Indigo, JD Wetherspoon, Marston's, Vintage Inns, Laine Pub Co and many more independent pubs, bars, clubs, cafés, shops, restaurants and businesses. 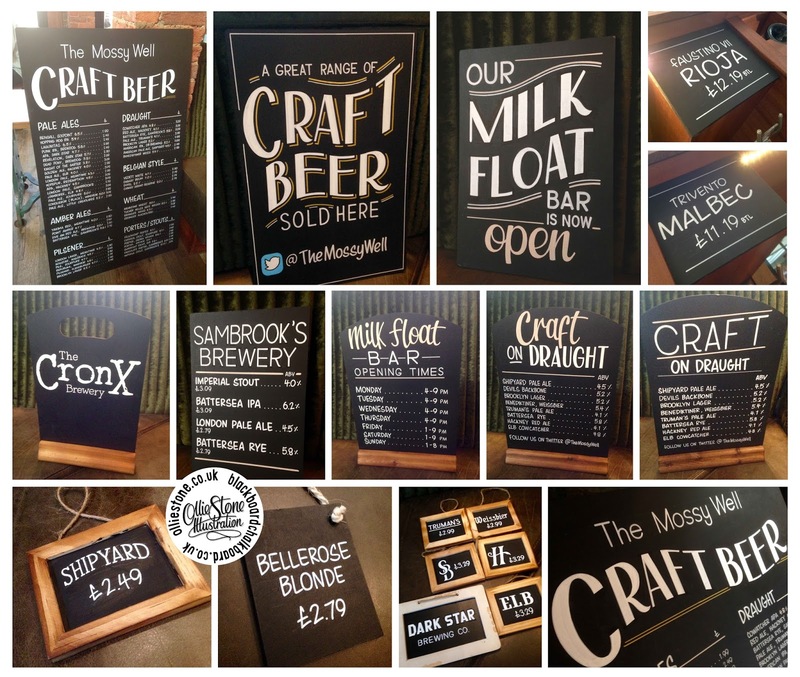 I work out quotes on a job-by-job basis, but needless to say I'm realistic about my rates, so whatever you require, give me a shout. 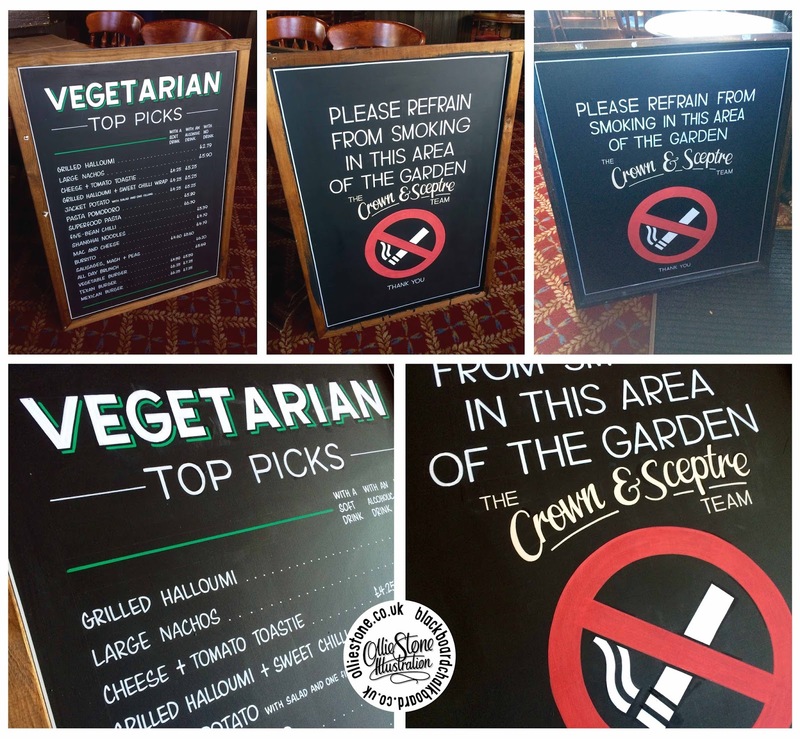 Chalkboard signs for The Crown & Sceptre in Streatham. 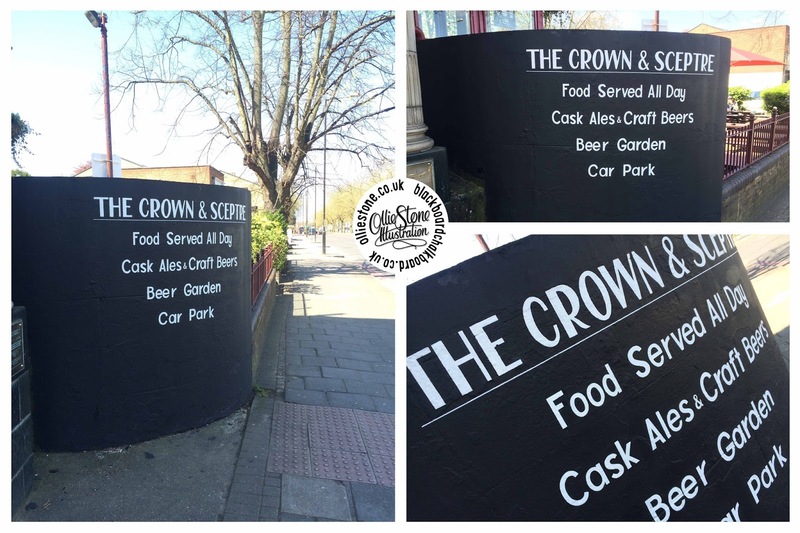 Large outdoor signage for The Crown & Sceptre in Streatham. A collection of chalkboard signs for Indigo's, Good Companions in Brighton. 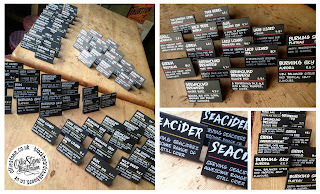 Hand-drawn, custom fonts for the guys at Indigo's, Good Companions in Brighton. 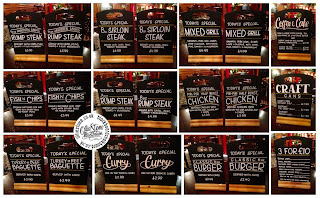 New food specials boards for Marston's, The Longshore in Shoreham. 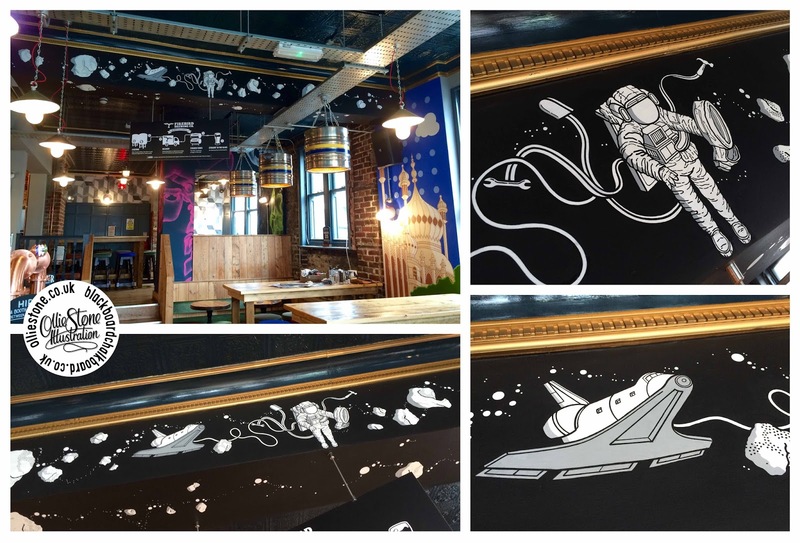 Large 'Spaceman' mural, hand-painted for Indigo's, Temple Bar in Brighton. 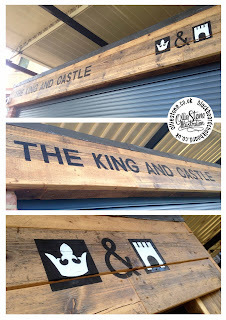 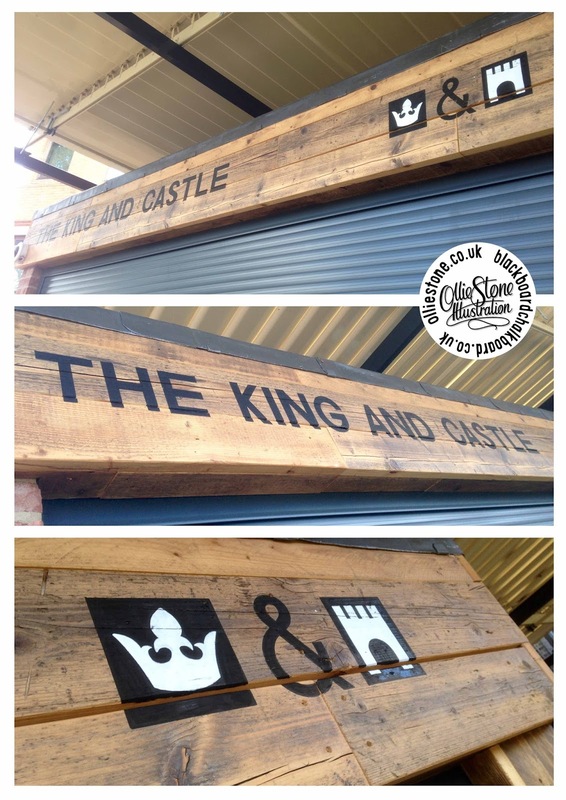 Custom, outdoor signage for Wetherspoon's, The King & Castle in Windsor. 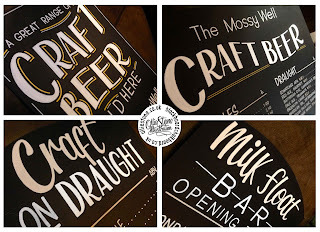 Assorted chalkboards for Wetherspoon's, The Mossy Well in Muswell Hill. 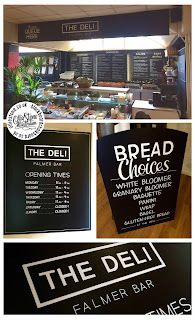 Hand-painted mural artist for hire! Brighton Pavilion mural at the Temple Bar in Brighton. 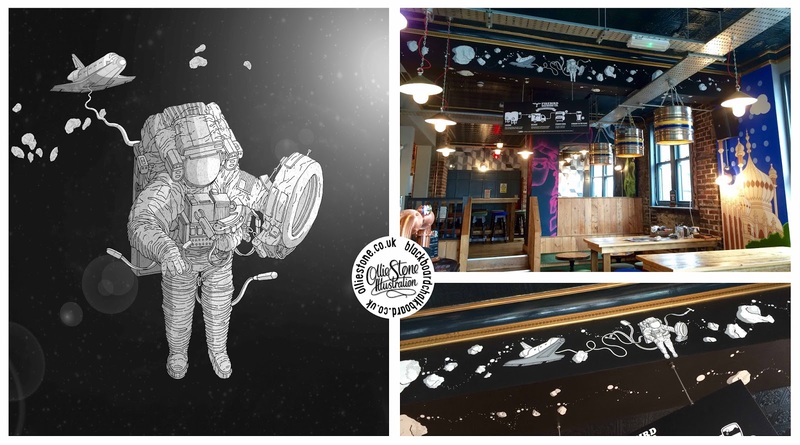 Spaceman mural at the Temple Bar in Brighton. 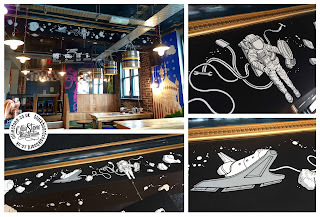 (Mural designed from one of my illustrations). 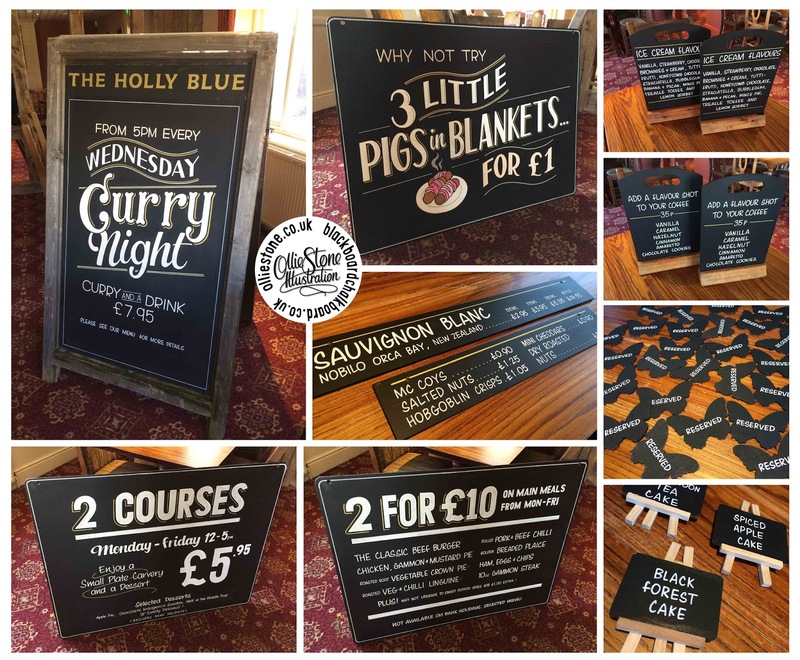 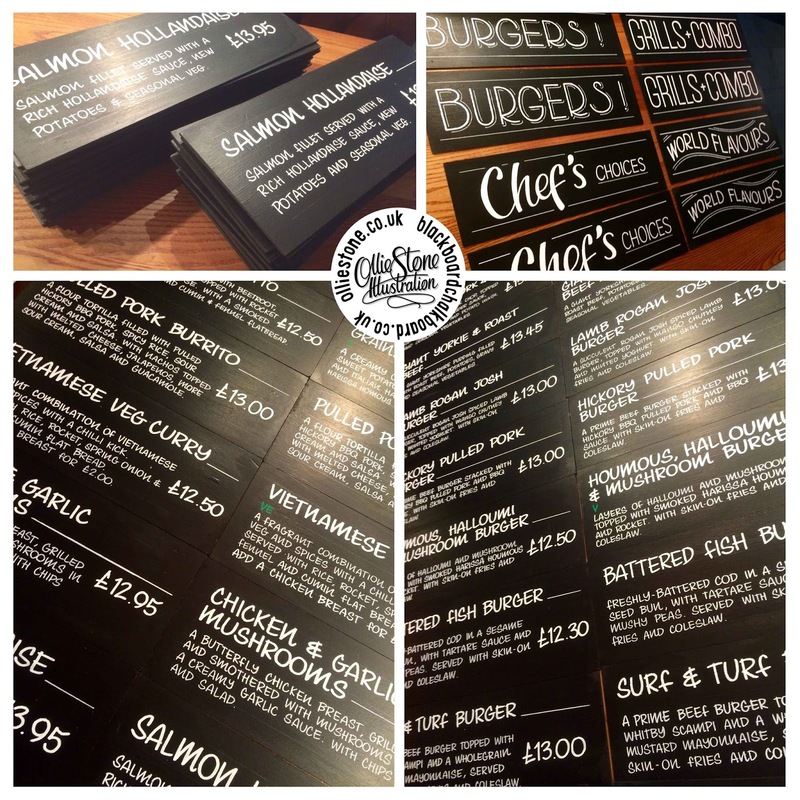 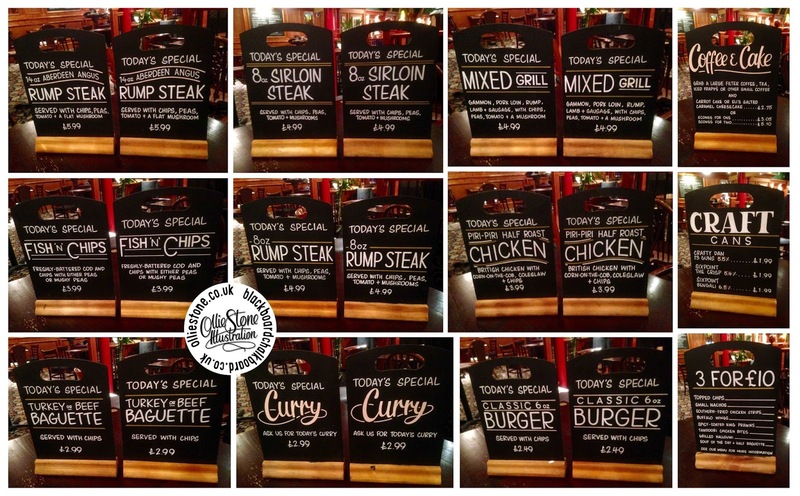 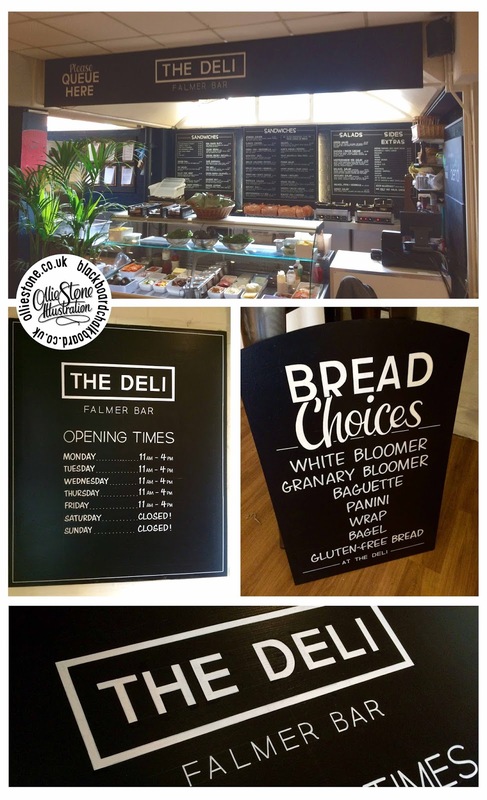 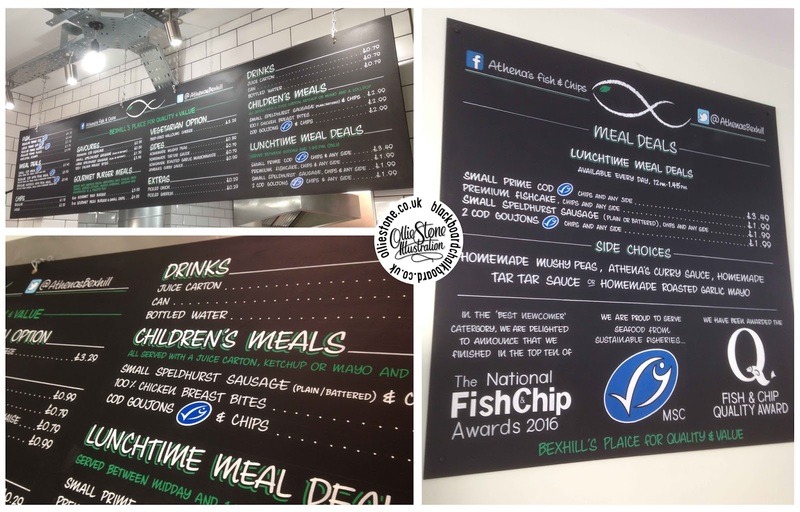 Bespoke chalkboards and menu sign writing. 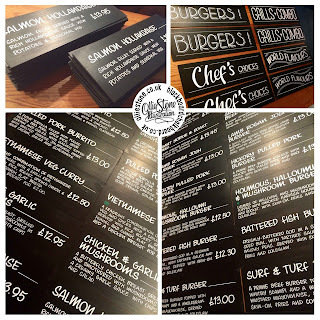 Chalkboard menus for Blend Catering at the University of Sussex, Brighton. 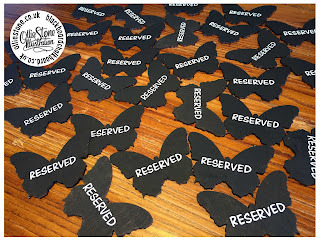 Mini butterfly chalkboard signs for The Holly Blue, Stone Cross. 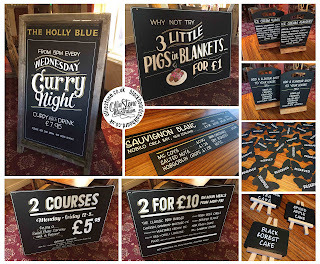 Chalkboard signage for The Holly Blue, Stone Cross. 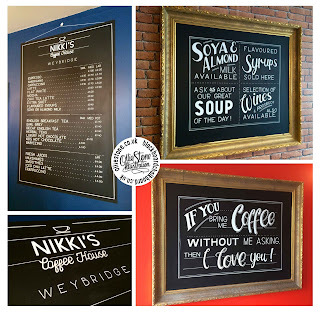 Blackboard signage for Nikki's Coffee House in Weybridge. 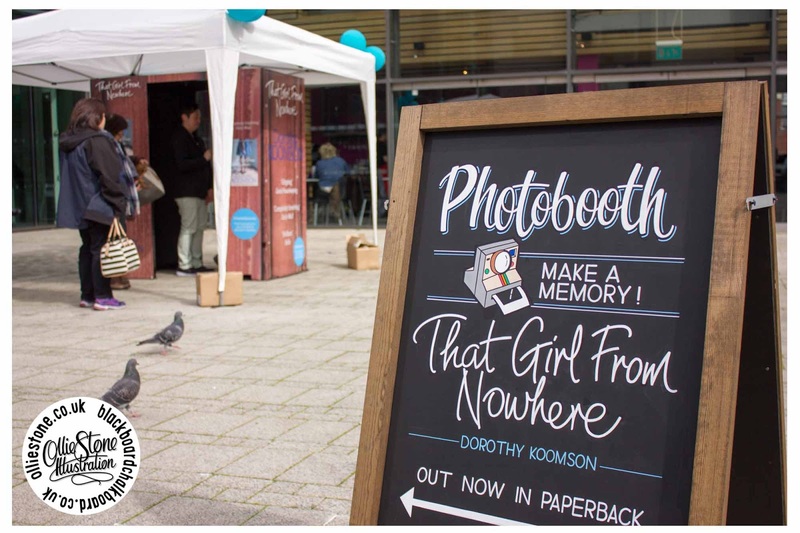 Promotional photo from Penguin Books, showing one of my a-boards designed for their event. 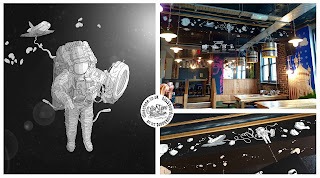 Mural painting at Temple Bar in Brighton. 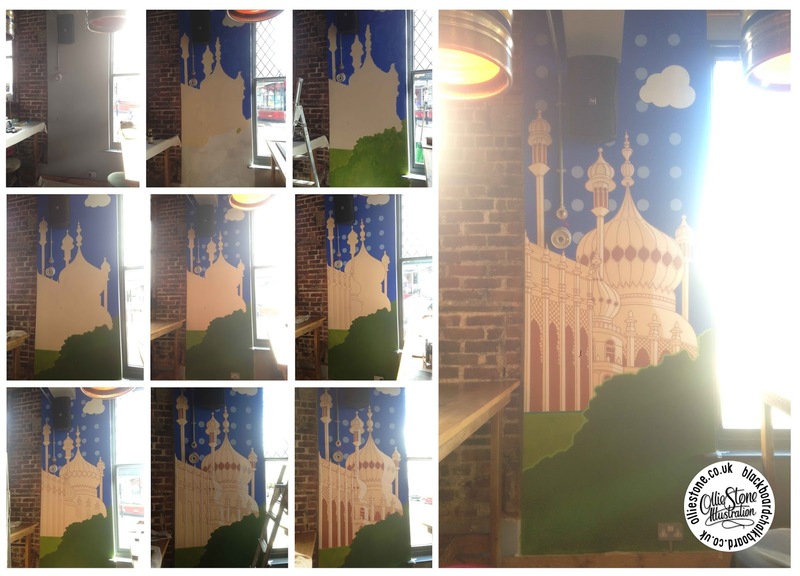 This week I spent two glorious days painting a mural of Brighton Pavilion at Temple Bar in Brighton. 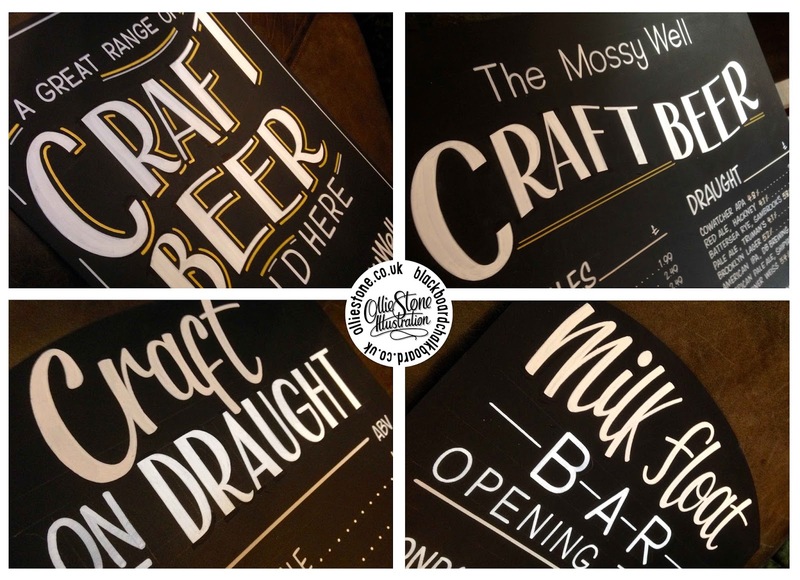 Give me a shout if you need you pub/bar/restaurant/shop/living room brightened up with a hand-painted, one in a million mural! 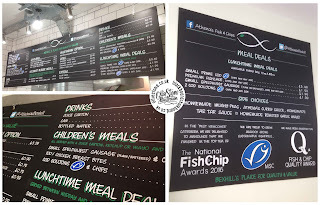 Athena's Fish and Chip shop in Bexhill. 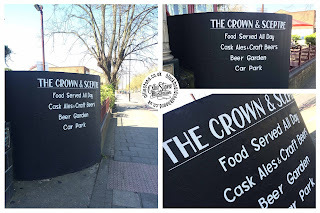 The Coronation Hall in Surbiton. 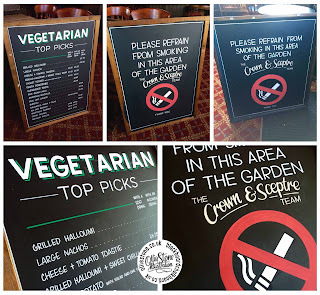 The Humphrey Bean in Tonbridge. 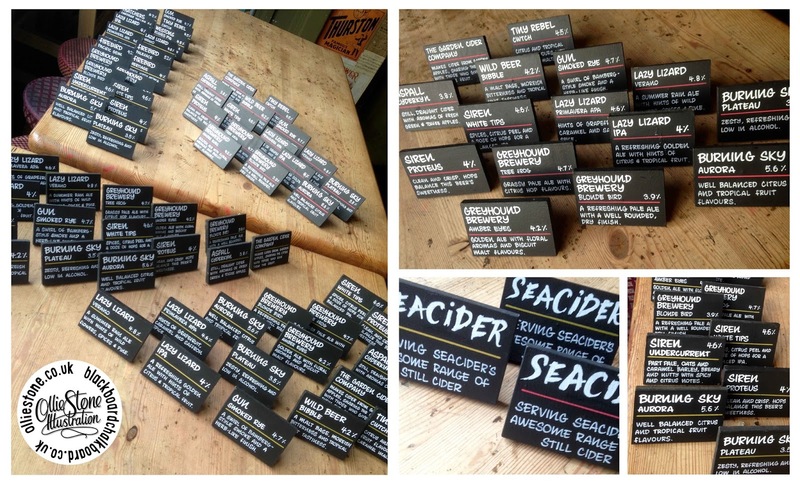 Ale pump clips for Indigo pubs in Brighton.